Even though I’m on vacation in the alienated West, I still made sure to get out to a Remembrance Day ceremony. 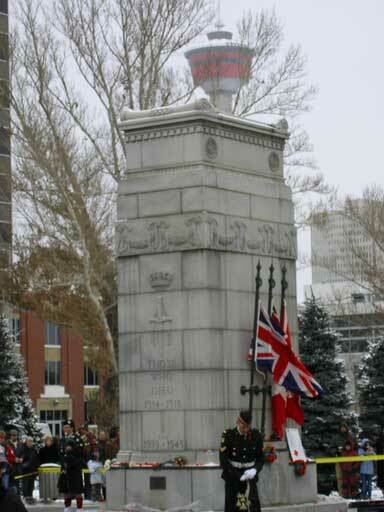 I met up with A&M in downtown Calgary and we went over to the cenotaph. Good ol’ Ralph Klein was there with Dave Bronconnier to lay wreaths. 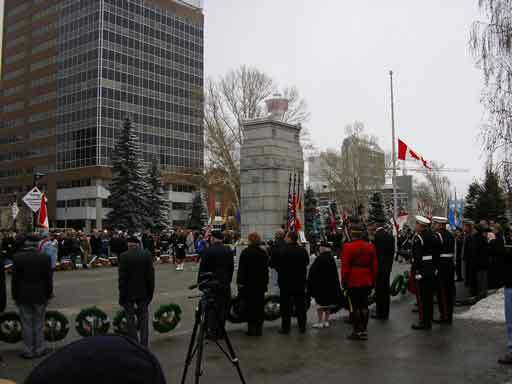 I was impressed by the extended applause when a wreath was laid on behalf of a Calgary soldier killed in Afghanistan. I felt super bad for the bagpiper and the brass band who were out there in the freezing cold trying to playing frozen instruments with frozen fingers. It was only about -6°C, but it felt way colder. Then we headed over to the Legion for some beers and managed to catch a pipe band. They were alright, but not really deserving of the inflated praise they received. This entry was posted in People and tagged Remembrance Day.